This pioneering study surveys all 446 Lower Stratum families in the period under review (8-6 B.C.). 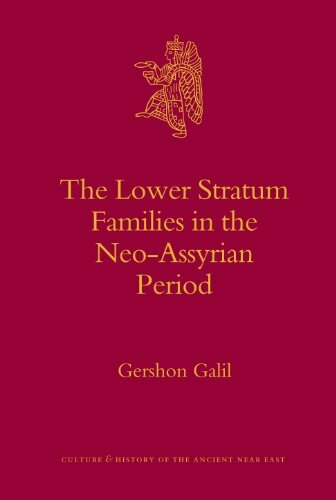 It is the most important and the most responsible study of the lower stratum of the Neo-Assyrian society proposed to date. <b>Gershon Galil</b>, Ph.D. (1983), Hebrew University, Jersualem, is Associate Professor and former Chair of the Jewish History Department at the University of Haifa. He has published extensively on Biblical and ancient Near Eastern literature including <i>The Chronology of the Kings of Israel and Judah</i> (Brill, 1996).